PARKing Day is an international initiative to turn a parking space into an urban green space for the greater enjoyment of people. 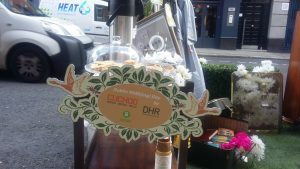 This year to mark PARK(ing) Day Dublin on Friday, 16th September, we at DHR joined with our neighbours, Cuckoo Events and Oxfam Home to create “Francis’ Folly”. 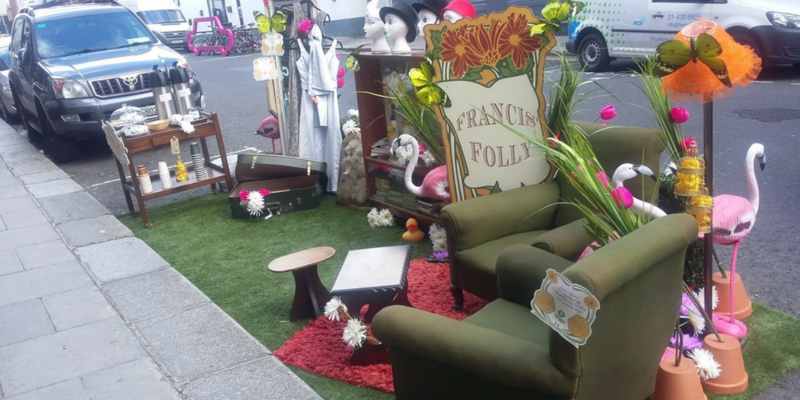 We transformed two parking spaces on Francis Street into a vibrant and relaxing area for all to enjoy, complete with armchairs, a bookcase and a steady supply of free tea, coffee and biscuits. What more could you need to enjoy a few minutes’ peace on a busy city street? 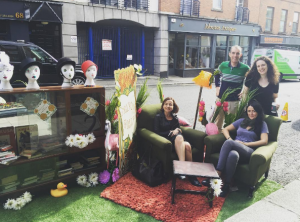 PARK(ing) Day has been running across the world for more than a decade. The people behind the movement describe it as “an annual open-source global event where citizens, artists and activists collaborate to temporarily transform metered parking spaces into PARK(ing) spaces: temporary public places”. 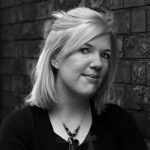 Its mission is to call attention to the need for more urban open space, to generate critical debate around how public space is created and allocated, and to improve the quality of urban human habitat … at least until the metre runs out! Sam, 7 (the son of our Managing Director, Catherine) kindly helped to man the stand after school. Feedback from the street was overwhelmingly positive and we had such fun working with our neighbours. We’re already planning next year’s celebration! 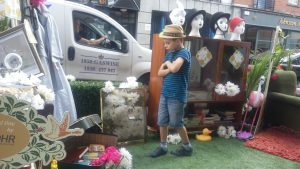 PARK(ing) Day Dublin is supported by Dublin City Council. To find out how others marked the day, visit http://www.dublinparkingday.org/.